Welcome to Tap Fiction. We tell new types of stories for the mobile generation. This new type of entertainment isn't quite like reading, it's not like watching a movie, it's not like wasting time on your favorite social network, and it's not like playing a video game...it's actually like taking all of these things and smashing them together to create a full blown modern entertainment experience, one by and for the mobile generation. 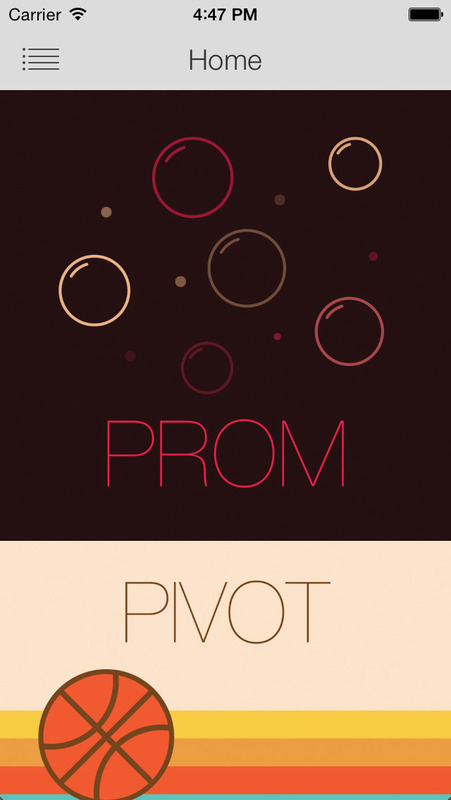 The first story to really capture the magic of Tap Fiction is PROM. 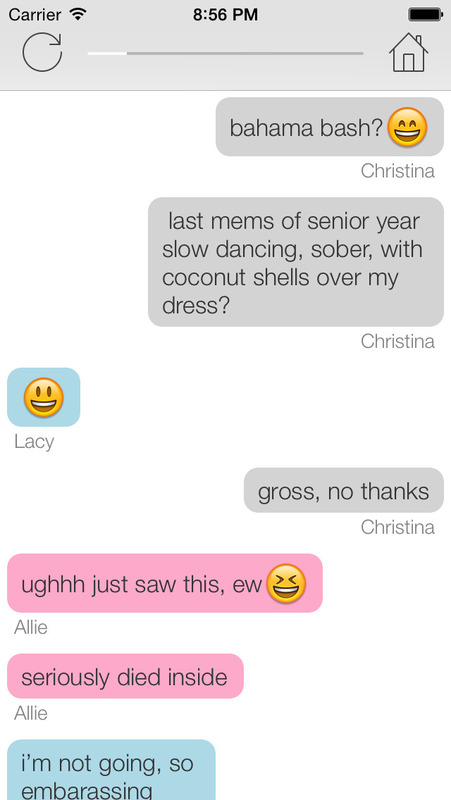 Follow three teens as they text each other back and forth on the day of prom. There's no way you could capture this story and show it as a television show or a movie. Only through an actual text messaging, mobile experience could you show the story of three teens being teens, sending each other funny youtube videos, finding a place for the after party on AirBnB, and even offering to text you the user about how the party went down. We just opened up our platform to storytellers around the world who will be telling stories like this upcoming tale about a pilot who goes down in the frozen tundra and has to weigh texting his family over rescue services on a diminishing battery admidst near hopeless conditions. Is that video home worth the last 5% of his battery? Or will he send one last distress text that gets him rescued and the reader only knows this because several days later he gets a slew of texts from friends wishing him a speedy recovery? We spend so much time on our phones, communicating with each other on Instagram, Snapchat, Facebook, etc. What we realized is that within these conversations are stories - stories about adventures, intrigue, friendships, love, heartbreak, danger, hatred, tragedy, and sometimes just about the lightness and silliness of life. Tap Fiction is all about taking these stories and augmenting, fantasizing, blurring, and otherwise transforming them into an entirely new category of entertainment; one that dramatizes our mobile lives. In the future we'll be diving even deeper into using mobile technology to tell even better types of stories. This is just the beginning of what will come to be the most incredible, popular form of entertainment since the invention of motion pictures. by Tap Tap Entertainment, LLC.